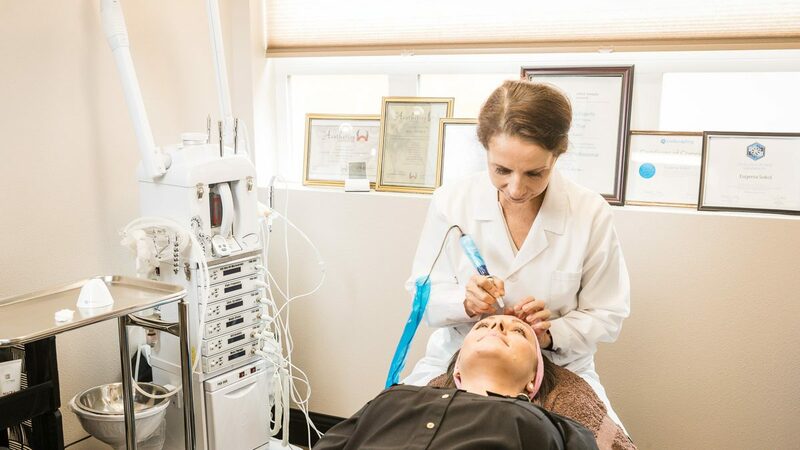 Esthetics is the practice of techniques and treatments for skin health and beautification. Our licensed esthetician, Eugenia Sokol, provides a wide variety of treatments to help you look and feel great! Microneedling (Rejuvapen) – Collagen-inducting therapy which helps improve skin’s overall appearance. Improves acne scarring and stretch marks. Facials – A multi-step treatment to cleanse, exfoliate and massage that will nourish the skin and promote a clear, well –hydrated complexion. Microdermabrasion – A treatment using mechanical abrasion and suction to exfoliate the superficial layers of the skin. This treatment softens fine lines, reduces skin discoloration and evens out skin texture. Chemical Peels – Using special plant and sugar acids to penetrate skin and eliminate dead cells to reveal the fresh layer. Removes fine lines, age spots, and blemishes caused by sun exposure. Laser Treatments – Treatments for hair removal and skin resurfacing. CoolSculpting – An innovative, non-invasive way to contour your body by freezing away unwanted fat.